Hubble might be nearing the eventual end of its lifespan, but it’s still capable of some truly incredible feats. 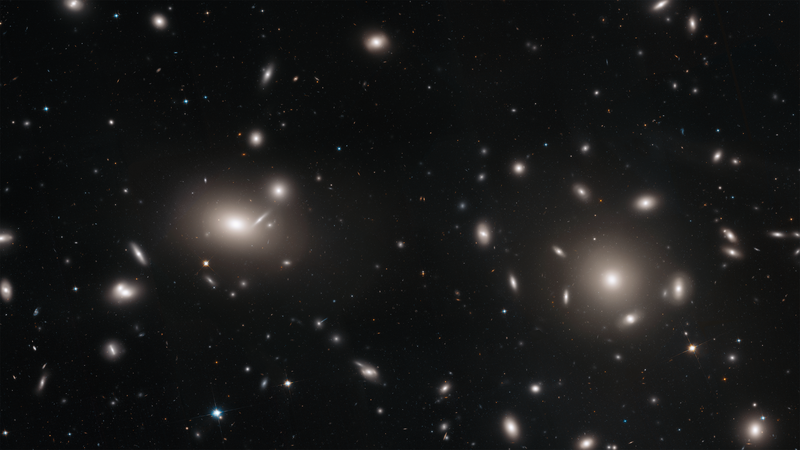 A new image stitched together from several Hubble snapshots has given astronomers a breathtaking glimpse at a distant collection of galaxies called the Coma cluster, and boy is there a lot going on here. The cluster, NASA says, is made up of over 1,000 galaxies. That’s not the number of stars or planets, but 1,000 galaxies. Yeah, it’s huge, and even though it’s around 300 million light years away from Earth, Hubble’s observations have revealed tens of thousands of ancient star clusters filling in the space between neighboring galaxies. Astronomer Juan Madrid of the Australian Telescope National Facility in Australia, and his team, worked to construct the mosaic of many different Hubble images in order to paint a more detailed picture of the cluster. The group built computer algorithms to comb archives of Hubble images of the cluster and then matched them up with other snapshots from a variety of observation campaigns. The end result is this insanely detailed glimpse at a collection of galaxies and star clusters that you’d never be able to see with the naked eye. I’d highly recommend taking a look at the full-sized image to fully appreciate the insane number of objects on display. It’s kind of crazy to think about, but Hubble originally launched way back in 1990 and has been in service for nearly 29 years already. It’s an incredibly powerful piece of hardware and, while it’s had some hiccups in recent months, it’s still one of NASA’s best tools for studying the depths of space.